Since a holiday weekend is upon us, I have spent the week making recipes for such an event……this time Fourth of July. Independence Day a.k.a. Fourth of July is the celebration of the Declaration of Independence. It’s an all American celebration filled with barbecues, picnics, concerts, carnivals, parades, fireworks, family reunions, political speeches and ceremonies. So, pull out that checkered tablecloth, fire up the grill, gather with family and friends and celebrate our Nation’s independence. Food is the center of any great celebration, ribs, potato salad, corn on the cob, or whatever your tradition is. With all of this food you gotta have dessert! I wanted something that young and old would like. It needed to be easy, portable, and something you could pick up and nibble. 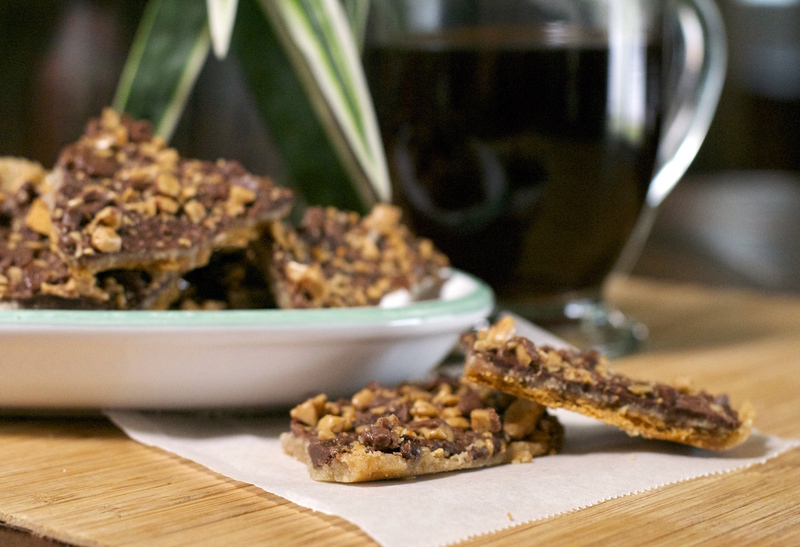 I was as usual, lurking on Pinterest, and saw this recipe from Gimme Some Oven . Thank you to Ali for posting this recipe, it was just what I was looking for. 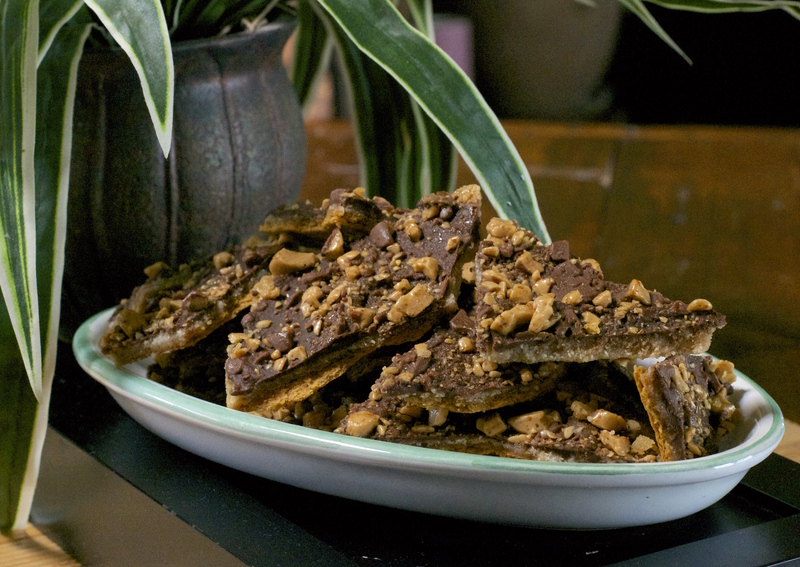 It’s the saltine cracker toffee, but with graham cracker…..genius!! Ali’s recipe is made with pecans, but I swapped it out for Health Brickle……..you can get it next to the chocolate chips at the grocery store……by the way you need the chocolate chips too! This was super easy to make and stores really well. I stored mine in the frig and they were a cool treat with a hot cup of coffee……the drink of choice at What the “Forks” for Dinner? 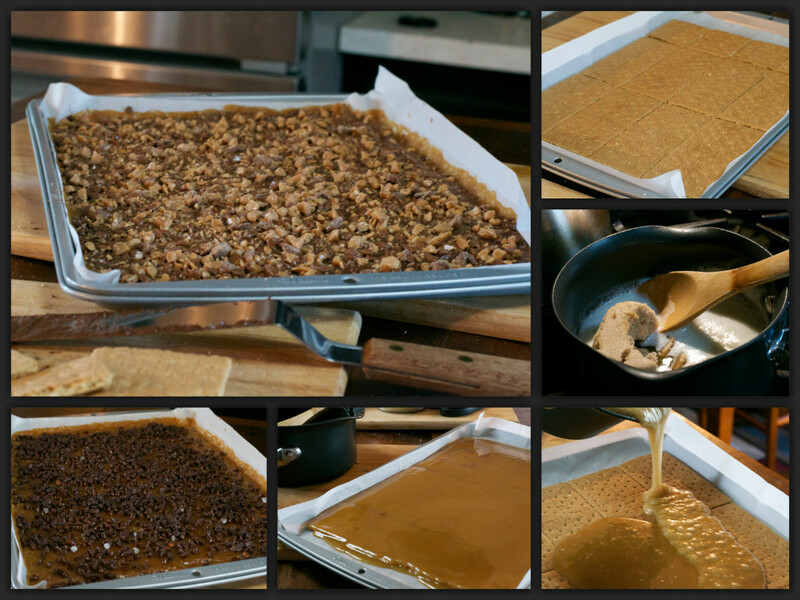 So, whip up a quick batch of Graham Cracker Toffee in the next day or so and have dessert in the bag. 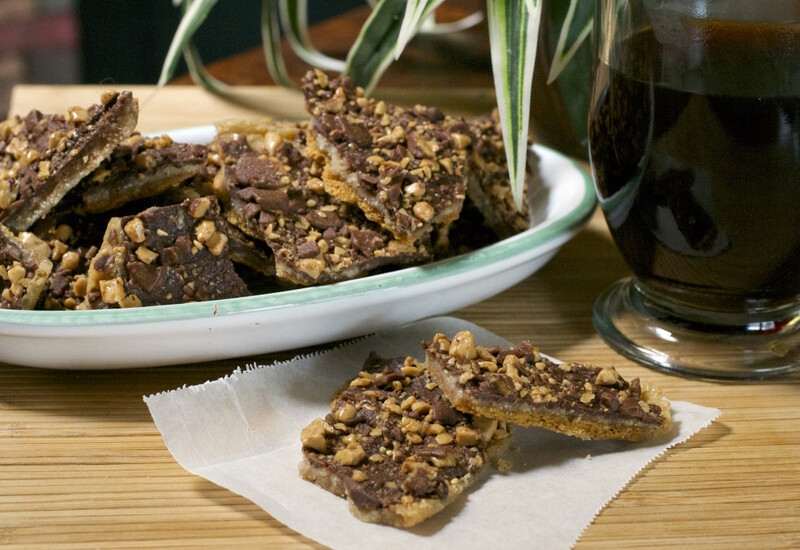 Remove pan and immediately sprinkle the the chocolate chips evenly on top of the graham crackers. Let sit for a few minutes until the chocolate is melted, then use a spoon to spread the chocolate around as much as you’d like. Sprinkle heath bits evenly on top of the melted chocolate. Let sit for about two hours and them cut and serve. I keep mine in the frig for a cool treat!